Integrity As a family owned and run business for over 20 years, we have always strived to meet and exceed customer expectations and our online reviews prove it. We love happy customers! Our staff is experienced, professional, polite and work quickly. Above all, we commit to honesty in our dealings with every customer. Our evaluation of your needs will be based on what is best for you – not us. No “running the bill” with unnecessary items. 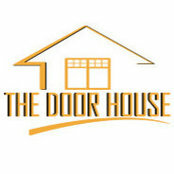 Garage Doors – Free Estimates! 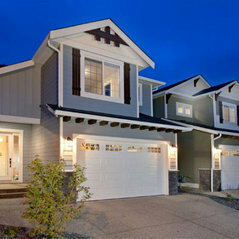 We serve both new construction and the residential garage door replacement markets. 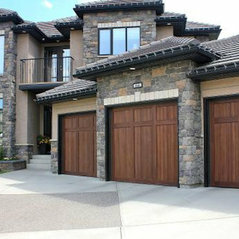 From very affordable garage doors to luxury high end custom garage doors, whatever your budget we can help. With today’s front drive garages, a new garage door can add significant curb appeal and value to a home at minimal cost. We have a full range of garage doors including traditional, carriage house, craftsman and modern, contemporary styles in the material of your choice. Whether steel, aluminum and glass, composite, fibreglass, or real stain grade doors in the wood species of your choice, we’ll help make your home look beautiful! Our respected manufacturers include Steel-Craft, Amarr, Clopay, and Equal Door. Of course, most all our doors are insulated for our Canadian climate and for security and safety we choose to carry only quality products. No flimsy doors here – many are backed by limited lifetime warranties. Electric Door Openers Garage door openers have become technologically advanced in recent years, some models even linking to your smart phone.We are an authorized Chamberlain Liftmaster dealer and carry their full line of products.